Sekonda 3621 to funkcjonalny i atrakcyjny zegarek męski. Tworzywo, z którego wykonana jest koperta to stal nierdzewna, co świadczy o wysokiej jakości produktu, natomiast tarcza nadaje zegarkowi charakteru przez swój wyjątkowy biały kolor. Jeżeli chodzi o wodoszczelność, zegarek jest odporny do 30 metrów. Oznacza to iż może wytrzymać lekkie zachlapania lub deszcz. Zegarek jest wysyłany z 2-letnią grawancją i oryginalnym opakowaniem od producenta. As always I am always wary about buying on the internet. However I found that buying through Watchshop was exactly as I hoped for. In fact it was even better than I expected. I am delighted with the watch. It has a nice leather strap with an easily read face. It is basic but with style. The whole purchase process was monitored and I was notified about the order being placed, being despached and delivered. Totally satisfactory. Excellent pricing and item delivered very quickly. Most happy with the service. This watch tells the time accurately, it has a clear white, eminently readable dial, and it sits comfortably on my wrist. What more does one require of a watch? All this for £14.99 with prompt FREE delivery! Distinctive looking watch incorporating clear features which are clearly defined by the black figures and hands with a white background. My wife has a Sekonda watch and has been delighted with it so I made this my first choice. Very pleased with this product. A no nonsense time piece perfect for everyday use. A good quality display with a decent leather strap. Cannot fault it for the price. I sometimes have to travel for work and dont want to put my posh watch at risk. I do a lot of one-to-one interviewing, so I need a watch that looks professional and not gimmicky or cheap. The key feature is that it has to be very clear and easy-to-read at a glance, both for the interviewee and myself. We both need to keep an eye on the time without having to make a show of it. This Seconda 3621 ticks all those boxes, looks smart and the genuine leather strap feels good on my wrist. 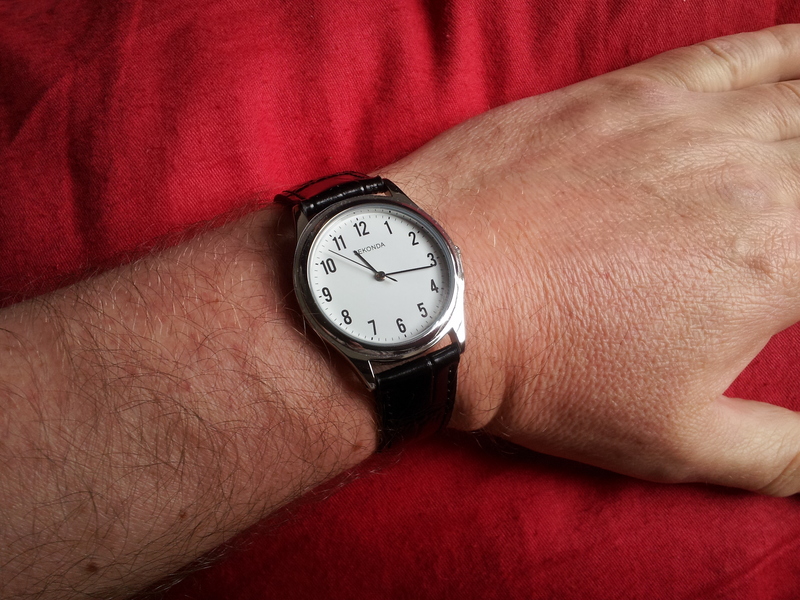 I have traditionally worn a chunky watch with a metal strap, and felt it was time to switch to something a little more classic, which better suits the way I dress these days, and my profession. Im very pleased with this Sekonda. It is a brand name I know, and the style is just what I needed. It has a plain black strap, and a very simple, uncluttered watch face. Unlike my previous watches there are no LCD cutouts to tell the date etc. I dont need those, and they were too small to read anyway. What I have now is a stylish, modest looking watch that suits how I want to look, and, above all, lets me see the time clearly and quickly! It feels light on my wrist. If I have any problem, its that I cant easily thread the strap through the first of the two retaining loops, though Im sure it will soften with use and that will get easier. I bought this watch for my husband who is over 60 and he loves it. Its stylish , the numbers are clear and easy to read and can be worn either when at work or out and about. I wanted a simple everyday watch with big easy readable numbers. The black hands on white background really stand out so that I can easily read the time without having to put on reading glasses. An attractive watch, large dial, easy to read numbers. Simple and straight forward design. Keeps good time and is a good buy for anyone looking for a good basic watch. Might be useful to have hands and numbers that glow in the dark, but other than that very pleasing. Watch as described. Pleasing classic styling. Large face & easy to read. styles of similar size.Very pleased with watch. A great watch. Very clean, clear look to it and easy to read. Comfortable strap and altogether an excellent item at a very low price, Highly recommended. I have had Sekonda watches for years. My first one I bought when I was a student. It stopped so, as I was in London and near High Holborn I wnt into Sekonda HQ where a sales assistant gave it a brief glance, threw it away and gave me a new one. It is now very shabby so I only wear it when gardening. My second was dropped two winters ago and when I went back to find it it was lying in the snow and tyre tracks clearly showed it had been driven over but it was still going. It became a bit shabby and I replaced it this year.I love my Sekonda watch, the face is clear and easy to read, the batteries last for ages and are easy to find. Who wants a thousand-pund watch when cheap ones are this good? pretty and simple watch. i bought it to give my boyfriend as an anniversary gift and i think it was a good choice. what im not so sure i like about the watch is that the face is kinda small, although it doesnt look weird or girly on a mans wrist. the leather is kinda shiny, but i think it will loose this feature after some use (which is good, in my opinion!). 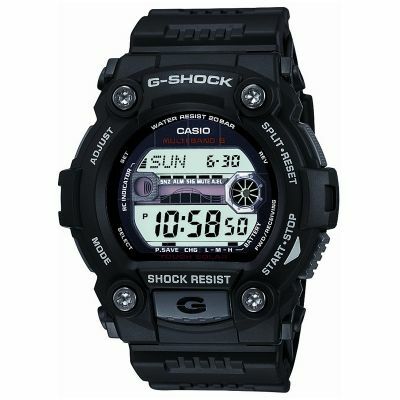 its a good quality watch. 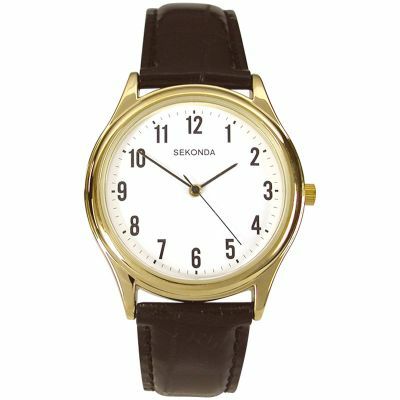 ive had good experiences with sekonda watches and i recommend this product for its simplicity, for being easy to wear, and for the guarantee that it is a long lasting product. Just what I wanted a plain easy to read reliable watch with no frills at a good price. It has a quality leather strap and an easy to read dial. It is good for every day use and looks smart on the wrist. A good value for money watch. The only thing I would have liked is the date on it but I still recommend it. I was very pleased with the look of the watch I bought for my father, who loved the clear easy to read face.No extras required, this watch is beautifully simple and excellent value. It has a leather strap and looks classic and smart. I tend to mistreat watches so I wanted a cheap ment for an old Sekonda I've had for a long time. This watch fits the bill perfectly. Easy to read dial and numbers and a sweep second hand. 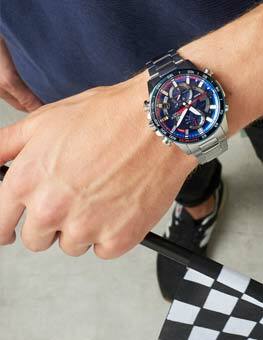 I came to this website to find a small and practical mens watch for under £20 so that I didn't have to look at my phone whenever I needed to know the time! 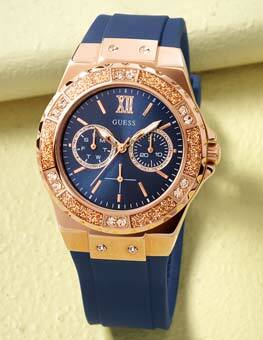 The body and strap are small, but not so much that it cuts into your wrist or looks like a ladies timepiece. The face is bold and clear to read, no date or day dials, but this is a simple, clear and relatively cheap watch. 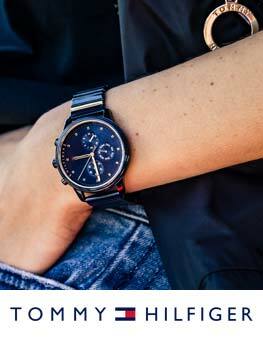 The leather strap has a gloss black finish which looks stylish but not over the top. My one niggle is that with my one, the face is ever so slightly misaligned, though I don't notice this anymore. All in all, this is a simple, easy to read, and solid watch at a good price. I was very impressed with the product quality, delivery conditions and customer attention. Stay on top of my preferences. Great expensive looking watch without the price tag. Bought for my Father-in-Law, and as previous Sekonda has lasted for years and just given up the ghost, I'm hoping this one lasts just as long! Very simple and stylish. The numbers are elegant, the face combines clarity with warmth and the strap is classic. smashing watch , even though a female I like a mens size watch with a good size face with clear numerals and a white background. I see patients for therapy for 50 minute session so need to see time without obviously looking away,even my patients say they can see time they have left on my watch. just perfect for me and a good price for someone that needs a functional watch without the added bits and pieces that some of the more expensive watches have. this watch was a present for my boyfriend. he has diabetes and in time his sight will deteriorate. this is the perfect watch because the dial is so clear. large black numbers on a white background. 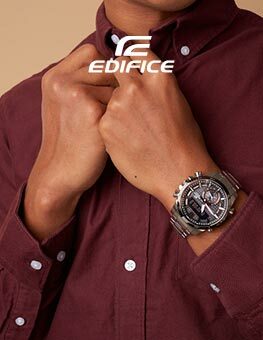 also, he is a classy man and this minimalist watch gives a sophisticated new frills look. i cant fault it for the price. obviously its not going to be top quality silver plated etc - but it keeps the time accurately, looks good and it does the job... cant ask for anything else for the price. 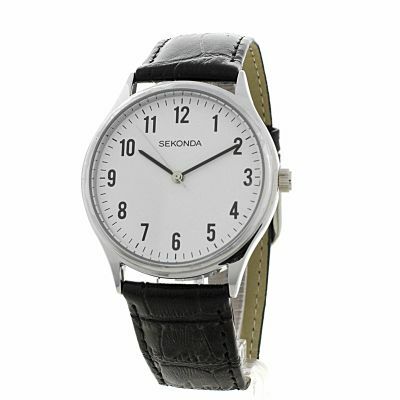 The Sekonda 3621 has the appeal of simplicity - the face is plain and very legible with black numerals and minute-markings on a bright off-white background and the strap has a smartly shiny black leather upper. There are no distracting (and often unused) “features”; the watch succeeds brilliantly at showing you the time and offers fantastic value for money. My only gripe is that all watch straps would benefit from being a centimetre longer! This is a cheap, but not nasty watch. It looks good with a stylish font. Simplicity is stylish, and this watch fits the bill. An attractive slender watch.Simple to adjust time.Hardly noticeable when being worn.